Must FERC weigh GHG emissions in pipeline reviews? In the 2004 case of U.S. Department of Transportation v. Public Citizen, the Supreme Court established an important limiting principle under the National Environmental Policy Act (NEPA) on the extent to which a federal agency must consider indirect environmental effects in completing NEPA-required reviews of planned agency action. It held that unless an agency has statutory authority categorically to prevent a particular environmental effect, its order cannot be viewed as a legally relevant cause of that effect, thus relieving it of any obligation to gather or consider information on the effect. As in Public Citizen, this principle often comes into play where the actions of two or more governmental agencies have a role in potentially “causing” a particular environmental effect. If the agency with NEPA responsibilities lacks statutory authority categorically to prevent the indirect effect, it has no obligation to evaluate it under NEPA. Public Citizen receives substantial play in the orders of the Federal Energy Regulatory Commission (FERC) authorizing pipeline and gas infrastructure under Sections 3 and 7 of the Natural Gas Act (NGA). As the shale gas boom and accompanying buildout of increased gas-fired power generation and LNG export capability have spurred unprecedented demand for new pipelines and gas infrastructure in recent years, they also have sparked unprecedented opposition to gas infrastructure projects by well-organized and well-funded environmental groups like the Sierra Club promoting a climate change/renewable energy agenda. Such opposition leans heavily on challenges to the sufficiency of the Commission’s reviews under NEPA, giving special emphasis to the claim that, in evaluating new pipeline projects to serve power generation load, FERC must consider the effects on climate change of greenhouse gas emissions (GHG) from the end use of the gas in the power plants served by the pipeline. Relying on Public Citizen, FERC for the most part has not attempted to quantify such indirect environmental effects, maintaining that its authorization of a pipeline is not the legally relevant cause of the GHG emissions resulting from downstream consumption of natural gas in power plants. The panel vacated and remanded FERC’s order authorizing construction and operation of the pipeline, pending FERC’s completion and review of the additional environmental studies on the power plant GHG emissions. While the downstream effects in the LNG terminal cases were contingent on DOE’s authorizing exports of natural gas, the downstream effects in Sabal Trail were contingent upon authorization of the construction and operation of the power plants by the Florida Power Plant Siting Board, a duly authorized agency of the state of Florida with exclusive authority over the licensing of new power plants in Florida. Without the licensing of the power plants, there would be no power plant operations and no resulting GHG emissions. Sabal Trail is significant on multiple levels. On a practical level, the vacatur and remand to FERC opens a Pandora’s box of NEPA review for the Commission. Although FERC’s environmental staff has performed upper-bound estimates of GHG emissions from downstream gas use associated with new gas pipeline projects since mid-2016, there are no readily available standards to guide such determinations, and its assessments to date have not been tested on judicial review. The additional required analysis has the potential not only to further delay an already burdened FERC approval process, but also to inject added complexity in sorting out (i) the proper estimates of GHG emissions to use in determining the impact of using gas in the power plants; (ii) the significance of such GHG emissions, especially since there are no readily available metrics to gauge “significance;” and (iii) whether the Commission should employ the “Social Cost of Carbon” tool developed by the Obama-era Council on Environmental Quality, now withdrawn by executive order in favor of reliance on the metrics set forth in OMB Circular A-4, to evaluate the impact of the GHG emissions and the benefits and detriments generally of a proposed pipeline project. These challenges portend greater uncertainty and possibly increased likelihood of error in the commission’s evaluations, potentially heightening investor risk in pipeline projects and dampening deployment of capital in the pipeline sector. Efforts to reach consensus on the proper response to Sabal Trail in the proceedings on remand have already divided the Commission along party lines. In its March 14, 2018, Order on Remand Reinstating Certificate and Abandonment Authorization, the three-Republican majority adhered to the methodology the Commission environmental staff first introduced in mid-2016, employing upper-bound estimates of GHG emissions with explanations of the inherent difficulty in providing more granular detail. It also declined, as in past orders, to employ the Social Cost of Carbon tool, noting the inherent difficulties of meaningfully employing the Social Cost of Carbon in the Commission’s decision-making. Lastly, the majority questioned whether the Commission has authority to deny a certificate because of concerns about GHG emissions from the end use of gas, noting that Congress or the executive branch, not the Commission, is responsible for deciding national policy on the end use of natural gas. The two Democratic Commissioners dissented separately, asserting that the order on remand should have included more granular assumptions in the evaluation of GHG emissions, adopted the Social Cost of Carbon to evaluate both the impact of GHG emissions from downstream gas use and the public convenience and necessity of projects generally, and determined that the impact on climate change of GHG emissions from downstream gas use must be factored into the determination of the public convenience and necessity of a new project. But far and away, Sabal Trail‘s greatest significance is that the panel majority’s application of Public Citizen does not appear defensible, making the case worthy of U.S. Supreme Court review, especially in light of the current administration’s desire to expedite the authorization and construction of new infrastructure. If Sabal Trail is reviewed and reversed by the Supreme Court, FERC will have a far clearer path through its NEPA process in pipeline certificate cases. The panel majority appears to have misapplied Public Citizen in two separate respects: (i) on the statutory authority of FERC, in presupposing that the Commission has authority under the NGA to deny a pipeline certificate because of concerns about GHG emissions from the end use of the gas transported by a pipeline, and (ii) on causation, as noted by Judge Brown, in wrongly attributing to FERC causation of GHG emissions by the power plants served by the FERC-authorized pipeline, when a separate state agency had sole authority to license the construction and operation of the power plants that are the source of such emissions, and categorically to prevent such emissions by refusing to issue a license. Although the panel majority correctly articulated the touchstone of Public Citizen that “[a]n agency has no obligation to gather or consider environmental information if it has no statutory authority to act on that information,” it failed to apply that limitation in the context of the Commission’s statutory authority to act on the information claimed to be necessary. To justify collecting information on downstream power plant emissions, the panel needed first to determine that the Commission has statutory authority to deny a certificate to a new pipeline because of concerns about the effects on climate change of GHG emissions from the power plants proposed to be served by the pipeline. Because the panel majority never addressed that issue, the statutory authority element of Public Citizen is missing. The proffered justification that “FERC could deny a pipeline certificate on the ground that the pipeline would be too harmful to the environment” is insufficient, as it fails to define FERC’s statutory authority in the context of the specific information sought on downstream GHG emissions from the end use of the gas. For example, in the leading case, FPC v. Transcontinental Gas Pipe Line Corp., the Supreme Court upheld the authority of the Federal Power Commission (FERC’s predecessor) to deny a certificate for the transportation of gas from the Gulf Coast to New York City to alleviate inner-city air pollution because of the Commission’s overriding concerns about the end use of the gas for power generation. Because other fuels could be readily substituted for natural gas under steam boilers, the Commission determined that using a wasting resource like gas in power plants was an “inferior use,” whose adverse effects on the availability and price of gas to other interstate consumers would be exacerbated if power plant supply deals like the one proposed in Transco were allowed to proliferate. Whereas the basis for the Commission’s exercise of authority in Transco can be readily linked to the NGA’s statutory purpose and, as the Supreme Court found in Transco, to Congress’ intent in the 1942 amendments to NGA Section 7 to permit the Commission to take account of the potential “economic waste” of gas in exercising its certificate authority, no such statutory grounding is evident to support the notion of denying a pipeline certificate because of concerns about the effects on climate change of emissions from the end use of the gas transported by the pipeline. Nowhere does the NGA authorize the Commission to regulate the emissions of downstream gas users, much less establish de facto emissions standards for such users to address climate change through exercise of its authority under Section 7(e) to condition or deny pipeline certificates. Lacking any apparent statutory authority to deny a new pipeline based on GHG emissions by downstream gas users, it appears that the Commission had no obligation under NEPA to gather or consider information on power plant GHG emissions in authorizing the Sabal Trail Pipeline. Judge Brown’s dissent correctly explains why Public Citizen requires that FERC’s certificate order not be found the “legally relevant” cause of the GHG emissions of the power plants served by the Sabal Trail Pipeline. Instead, as Judge Brown explained, the legally relevant cause is the authorization granted by the Florida Power Plant Siting Board to construct and operate the power plants. Simply put, the GHG emissions are the byproduct of power plant operations and would not occur separate and apart from the licensing of the power plants by the Florida Power Plant Siting Board. And only the Siting Board, not FERC, has the legal authority to prevent such operations. True, the denial of a FERC certificate could make power plant operations more difficult, but it would not affect the legal authority of the owners to continue operations using other supplies of natural gas or alternative fuels to run the generating equipment. In these circumstances, the chain of causation as to the Commission’s responsibility is broken, meaning that the GHG emissions cannot be attributed to its action. Accordingly, it was not required to consider the indirect effects of GHG emissions from operation of the power plants in its review of the pipeline certificate application under NEPA. Lastly, to end where we started, Public Citizen is on point. The issue there was whether the Federal Motor Carrier Safety Administration (FMCSA) was required to consider the environmental effects of increased truck traffic between the U.S. and Mexico in instituting its truck inspection program following President Clinton’s lifting of the moratorium on the entry of Mexican trucks into the US. Because the FMCSA lacked statutory authority categorically to prevent the cross-border operations of Mexican trucks, the court determined that it was not the relevant cause of such environmental effects. Similarly, in Sabal Trail, the issue is whether FERC must consider the environmental effects from the operation of power plants served by a gas pipeline in authorizing the pipeline. By the reasoning of Public Citizen, because FERC lacks the statutory authority categorically to prevent the operation of such power plants, it cannot be viewed as the legally relevant cause of the environmental effects of such operations. Reversal of Sabal Trail will help to restore rationality to the NEPA review process for new gas pipelines. The panel majority’s suggestion that a new pipeline “causes” new power plants served by the pipeline reverses the commercial reality of project development, putting the fuel supply cart before the market demand horse as the determinant of new pipeline expansions. The fact is that new pipelines do not get proposed or built without market demand for the gas proposed to be transported. Reversal will also restore restraint in the conception of FERC’s statutory authority to act in the “public convenience and necessity” under NGA Section 7(e). As Transco suggests, FERC’s authority to affect the end use of gas is limited to actions related to advancing the NGA’s statutory purpose; it does not include the power to control directly or indirectly the GHG emissions of downstream end users of gas. Not that control of such emissions is not important or is in some way affected with the “public interest” — it is just that Congress or other agencies, not FERC, have the authority to regulate them. Lastly, reversal will restore a sensible understanding of Public Citizen. As Judge Brown points out, where another agency has the authority categorically to prevent the GHG emissions from power plants served by a new pipeline by refusing to issue the license for construction and operation of the power plants, FERC’s more limited action in authorizing a pipeline to serve the power plants cannot be viewed as a legally relevant cause of such emissions. Such recognition of FERC’s authority as limited will also extend comity to requisite state and federal agency actions in the integrated resource planning of new power generation at the state level and the air permitting process at the state and federal levels for GHG and other emissions from power plant operations. The original version of this article was published by Law360. 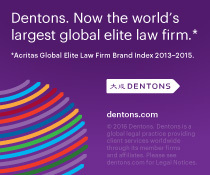 James M. Costan is a partner in Dentons’ energy practice. Jay represents clients on a wide range of public utility and energy matters, including energy transactions and federal and state regulation of the sale and transmission of electricity, natural gas and LNG and the licensing of energy projects. The opinions expressed are those of the author(s) and do not necessarily reflect the views of the firm, its clients, or Portfolio Media Inc., or any of its or their respective affiliates. This article is for general information purposes and is not intended to be and should not be taken as legal advice. 541 U.S. 752 (2004) (Public Citizen). Sierra Club v. FERC, 827 F.3d 36, 49 (D.C. Cir. 2016) (Freeport). 15 U.S.C. §§ 717b and 717f. In mid-2016, FERC environmental staff started preparing “upper-bound” estimates of GHG emissions from downstream gas use to support NEPA reviews. Such estimates assume that the full delivery capacity of the pipeline will be consumed 24/7 for gas-fired power generation. 867 F.3d 1357 (D.C. Cir. 2017) (Sabal Trail). Id. at 1373 (citations omitted). The vacatur and remand had minimal effect on pipeline operations, because most construction had been completed by the time of the D.C. Circuit’s decision in late August 2017. Thereafter, issuance of the mandate was held in abeyance pending completion of the rehearing process in late January and then was stayed until late March, affording FERC sufficient time to complete a supplemental environmental impact statement and issue an order reinstating the Certificate of Public Convenience and Necessity on March 14, 2018. Florida Southeast Connection LLC, 162 FERC ¶ 61,233 (2018) (Order on Remand). Freeport, supra; Sierra Club v. FERC, 827 F.3d 59 (D.C. Cir. 2016) (Sabine Pass); Earth Reports Inc. v. FERC, 828 F.3d 949 (D.C. Cir. 2016) (Earth Reports). Sabal Trail, 867 F.3d at 1381 (Judge Brown dissenting), quoting Freeport, 827 F.3d at 47, Sabine Pass, 827 F.3d at 68; and Earth Reports, 828 F.3d at 952. See 81 Fed. Reg. 51866 (Aug. 5, 2016), Final Guidance for Federal Departments and Agencies on Consideration of Greenhouse Gas Emissions and the Effects of Climate Change in National Environmental Policy Act Reviews, available at https://www.federalregister.gov/documents/2016/08/05/2016-18620/final-guidance-for-federal-departments-and-agencies-on-consideration-of-greenhouse-gas-emissions-and. See 82 Fed. Reg. 16576 (April 5, 2017), Withdrawal of Final Guidance for Federal Departments and Agencies on Consideration of Greenhouse Gas Emissions and the Effects of Climate Change in National Environmental Policy Act Reviews, available at https://www.federalregister.gov/documents/2017/04/05/2017-06770/withdrawal-of-final-guidance-for-federal-departments-and-agencies-on-consideration-of-greenhouse-gas. Order on Remand at PP 22-51. Id. (separate dissents of Commissioners LaFleur and Glick). Sabal Trail, 867 F.3d at 1372, citing Public Citizen, 541 U.S. at 767-68. E.g., California v. Southland Royalty Co., 436 U.S. 519, 523 (1978); NAACP v. FPC, 425 U.S. 662, 669-70 (1976). 365 U.S. 1 (1961) (Transco). Similar concerns about the need to husband gas supply for high priority end uses drove the Commission ‘s directive that pipelines institute end-use curtailment plans to address the nationwide gas shortage in the 1970s. See FPC v. Louisiana Power & Light Co., 406 U.S. 621 (1972). Transco, 365 U.S. at 10-22.